It takes serious guts to write about yourself without redacting or sugarcoating the not-as-great parts. 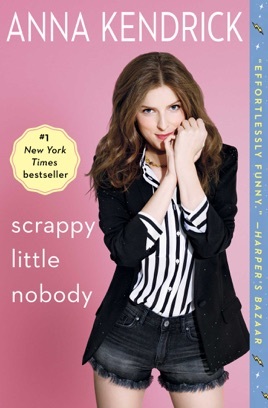 So we admire Anna Kendrick that much more after reading Scrappy Little Nobody, her account of her “origin story” as a child actor and her often choppy transition into adult life. Kendrick’s a great writer with a dry sense of humor and hard-won insights about staying rooted. Her memoir reminded us that feeling like an outsider is in many ways a tremendous gift. In this snarky collection of personal essays, actress Kendrick recounts her early years as a theater-loving kid from Portland, Maine, who became a Hollywood "It Girl." Since Kendrick is only 31, much of her reminiscing is concentrated on her not-so-distant childhood, beginning with her first role, at age six, in a community production of Annie. Unlike many child stars, Kendrick had a fairly normal childhood: she went to school, where she was the uncool kid (few people at home were impressed when she tried bragging about going to Sundance Film Festival). She details her desire to be in a period piece and how she got her wish with 2014's In the Woods, telling an amusingly self-deprecating anecdote about costumes. Style is a theme, but not in the usual way of so many Hollywood memoirs. Most adult actors don't detail how they could shop at the kids' section of stores like L.L. Bean (let alone be caught dead at L.L. Bean) or admit that they don't adore fashion, but in many ways Kendrick is a refreshing outlier. When she gives advice, such as how not to make eye contact with the press during film junkets, she displays real wit and comic timing on the page. Great book. Anna Kendrick is so real and makes you feel that you know her. I enjoyed every second of it. If you haven’t read it, read now. 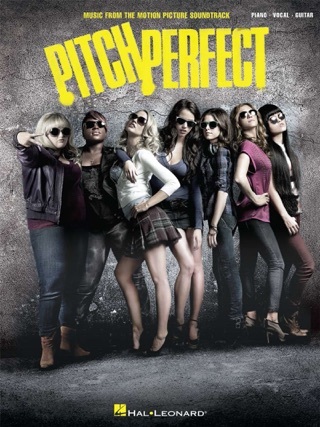 A fun jaunt thru Anna Kendrick"s life. Well written, intelligent and fun to read. I don’t know Miss Kendrick- so I can’t tell if this is mostly from her or with the help of a ghost writer….But she comes across as a hardworking, grounded woman who’s worked very hard to get where she is now….Very entertaining, sort of an extended series of vignettes.